JSC "Baltic tube service" specialises in used steel pipes, which were used in water supply and Gas-main routes, also the new pipes trading. 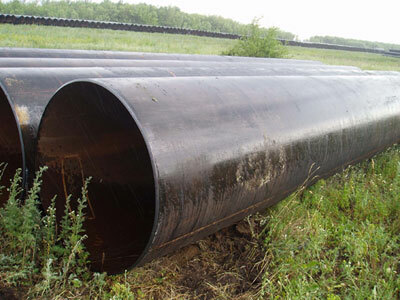 Used pipes are successfully used in building and construction industry nowadays. Companies can save a lot of money using our used pipes instead of new pipes. Our pipes can be used easily for chimneys and pillars. Used pipes from water and thermal supply routes are the cheapest solution for a not complicated engineering (land-reclamation, drainage, pillars) and simple constructions works.